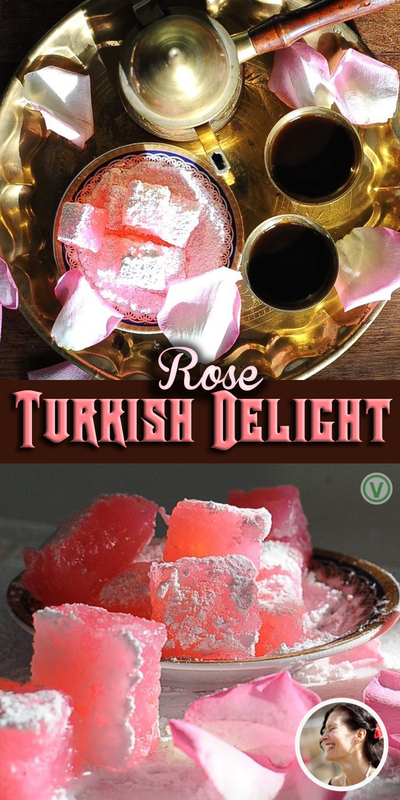 Traditional Rose Turkish Delight Recipe is both Vegan and GF. 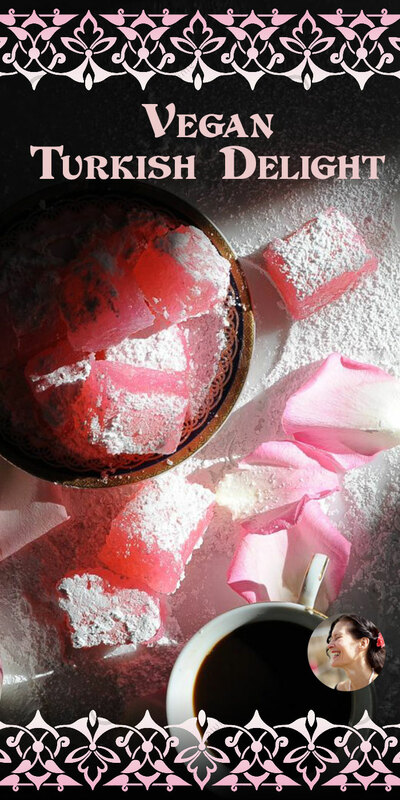 Turkish delight flashes through the markets of Istanbul in sugared drifts, on brass trays, carried by young men who offer a free nibble knowing that once you taste a cube you are forever in it’s thrall. Üsküdar’a gider iken bir mendil buldum. Mendilimin içine (de) lokum doldurdum. When going to Uskudar, I found a handkerchief. I filled the handkerchief with Turkish delight. Early one morning in the 1965 my father entered the Grande Bazaar in Istanbul. Have you entered the Grande Bazaar? It is an Arabian Nights illustration come to life. Beneath the vaulted ceilings day and night cease to exist. Blue incense smoke follows you like spirits through shadowed alleys, a thousand glass lanterns glow in shades of blue and green reflecting off of the burnished brass and copper pots lining the stalls. 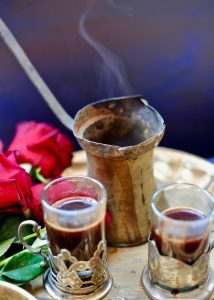 Cardamon scented coffee beckons from tiny gilt glasses and deeper into the enchanted labyrynth you wander. Lustrous patterned carpets are spread like wildflower meadows beneath your feet. As my father strolled the stalls, gazing at gold threaded velvet robes here and fragrant mounded spices there, he would from time to time check his wrist watch. He had fallen down the rabbit hole into Wonderland, so far from Worcester, Massachusetts where he started out. He had nowhere to be, no one to meet and yet his watch continually flashed before his eyes. Realizing that he was now in the land of the timeless he removed his watch and entering the first store to the right gave his watch to the owner. I imagine that watch still floats, unwound, on the tides at the Grande Bazaar. 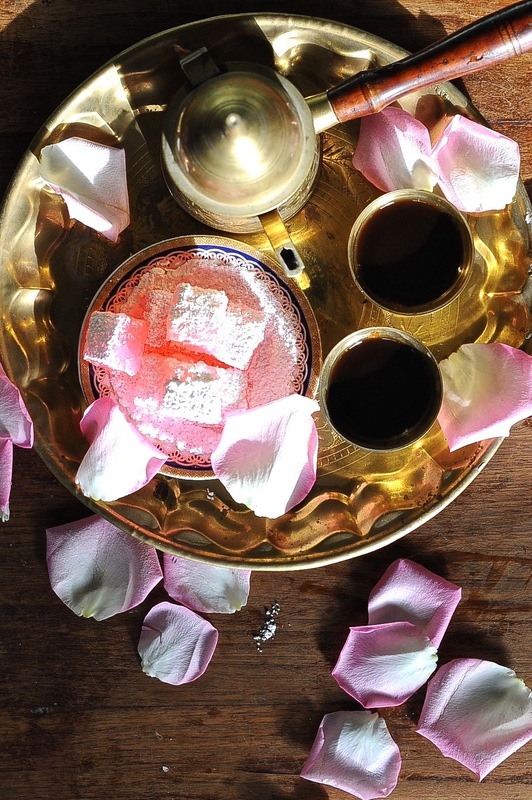 Rose water can be hard to find unless you have a middle eastern market nearby I buy mine here. Don’t forget to dab a little behind your ears. 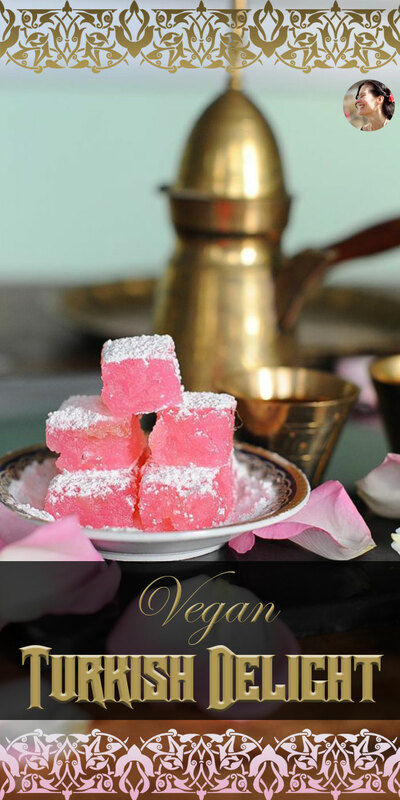 What better to drink with your traditional rose Turkish Delight then authentic, aromatic Turkish Coffee? 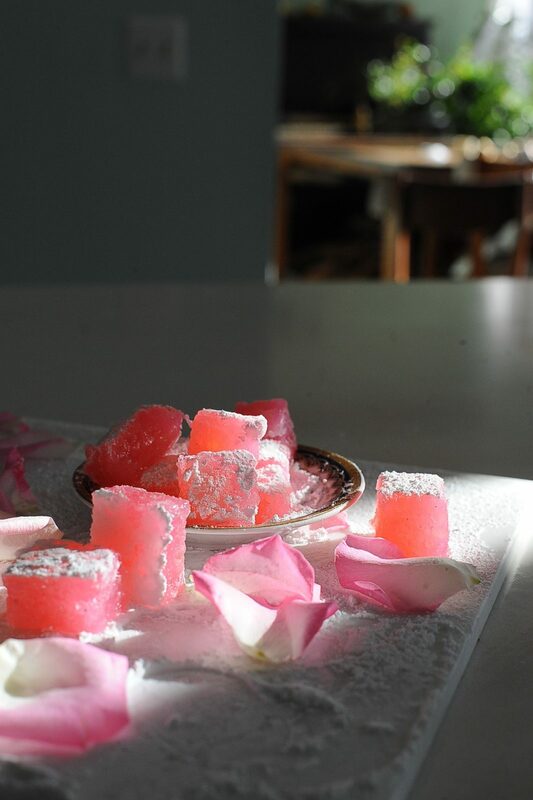 Rose Turkish Delight, Vegan Gluten Free. 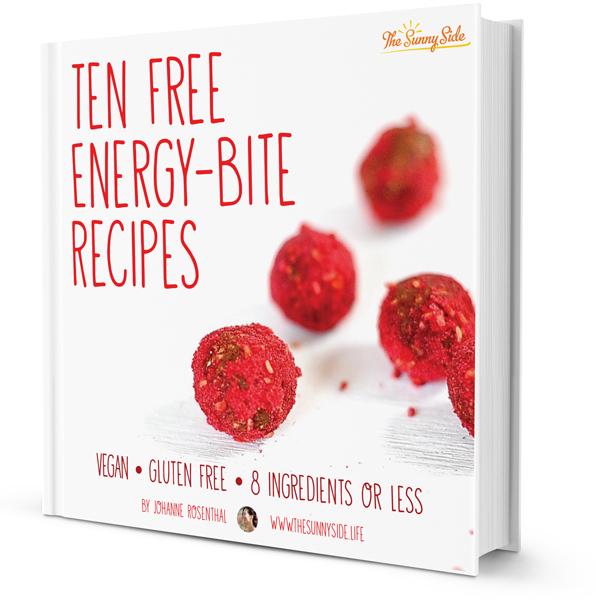 Although this recipe may seem complicated at first, once you read through it a couple of times and organize your ingredients and supplies, it simple enough. 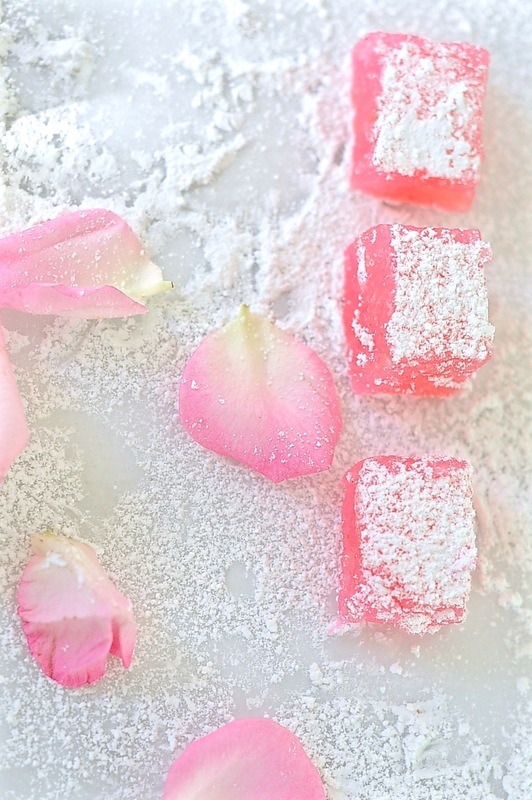 You will be rewarded with sugared pillows of rose petal confection. Placed in a small tin and tied with a satin bow it is an un-forgettable gift. First off guys, this is candy. Candy is a petulant creature, humidity and altitude can significantly affect the texture of any candy. Try making meringues on a rainy day and you'll understand what I mean. So understand that once in a while a tried and true candy recipe fails for no discernible reason. Them's the risks. Line your tin or mold with oiled plastic wrap allowing, the extra to hang over the sides. I used a square 8X8" cookie tin. In a medium sized sauce pan, over medium heat, bring your sugar, 2 cups of the listed water, and zest to a boil. Whisk until sugar is dissolved. Reduce your heat to medium low and keep the mixture at a simmer. Stir every few minutes with a wooden or silicone spoon. Clip your candy thermometer to the side of the pan and check until your syrup reaches 240 F (115 C). If you look into the pot and think "Oh crap, a giant blew his nose right into the pot while my back was turned" then you have the correct consistency. After an hour passes remove from the heat. 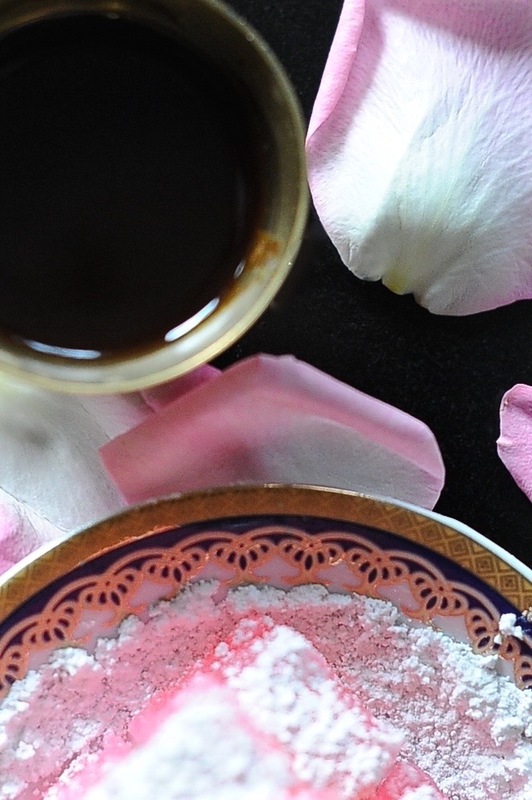 Stir in the rose water with the correct food coloring if needed to heighten the color. This would be the time to add the nuts. My dad used to call me in a muddle and say “Hanne, my watch says 7:00, is it 7:00 in the morning or night? Feel free to call me and ask. I’ll always share knowledge, my coffee or my blanket with with you. 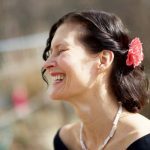 “Pink is the navy blue of India.” Diana Vreeland (ed. Harper’s Bazaar 1936-62, ed. Vogue 1963-71) is supposed to have made that pronouncement in 1962. Who knows if she really said it: the internet is riddled with misattributed and garbled quotations, but I like to think it’s true: truye that she said and true that pink is (or was) the navy blue of India. I love the luminousness of those pink cubes, like colored glass. When walk around NYC I sometimes feel the clothing is in dire need of anti-depressants. Diana Vreeland. I wonder if she has an autobiography, if so we need to read it. 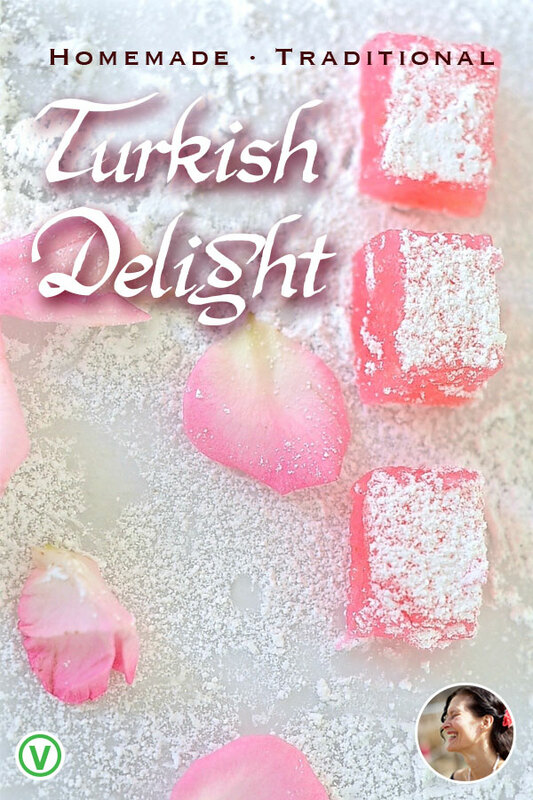 I always wondered what Turkish delight was after reading “The Lion The Witch and The Wardrobe” when I was younger. Now I know :). It sounds heavenly with the rose! 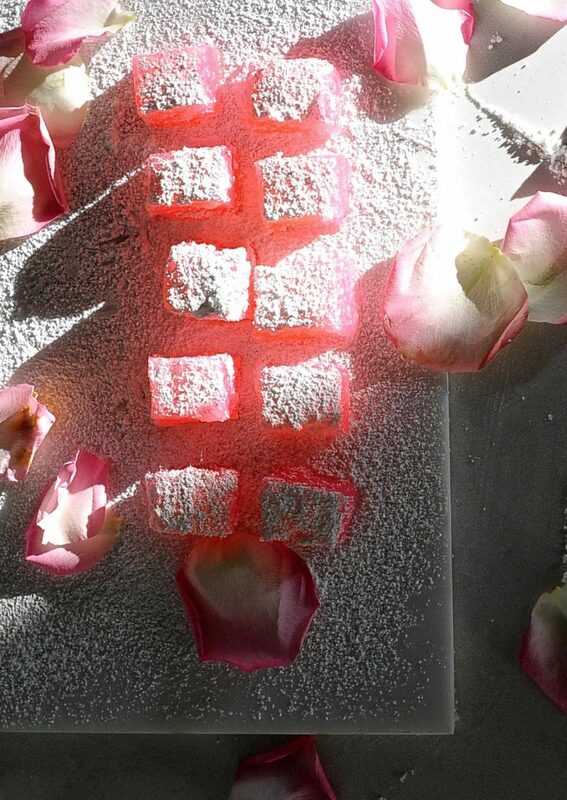 It is a magic spell suspended in a cube of powdered sugar. DV’s autobiography is on its way to you, for your birthday! ‘It is dull, Son of Adam, to drink without eating,’’ said the Queen presently. ‘‘What would you like best to eat?’’ “Turkish Delight, please, your Majesty,” said Edmund. A sliver of ice in her heart but she throws down in the dessert round. 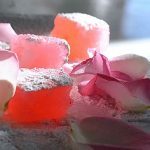 This classic Turkish confectionary flavoured with rose water has been given a makeover to make it sugar-free, gluten-free, vegan and naturally coloured. I’m afraid I haven’t made it over. The original was vegan and gluten free. Mine has Tons of sugar and artificial coloring.